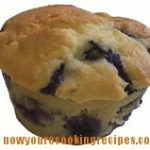 Gluten-Free Blueberry Muffins - Now....you're cooking! 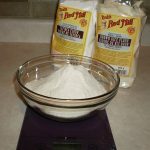 This is my gluten-free all purpose flour recipe. 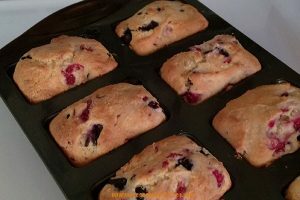 Preheat oven to 375 degrees F. Spray muffin tins with non-stick spray, or line with paper liners. In a medium bowl combine flour, sugar, baking powder and salt. In another bowl (or large measuring cup) whisk eggs. Stir in milk, vanilla and cooled butter. Pour wet ingredients over dry ingredients, and stir to combine. Fold in blueberries.